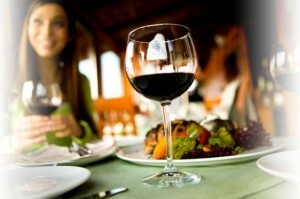 The reduction of the VAT imposed on food catering services also includes hotel restaurants. The Hellenic Chamber of Hotels congratulated the Greek Government and the Prime Minister on 17 July for the persistence and efficiency shown for the reduction of the VAT rate in the food service sector. Prime Minister Antonis Samaras had announced earlier that the VAT imposed on restaurants, hotel restaurants, cafeterias and bars will be reduced to 13 percent as of 1 August 2013. The announcement came after the Greek Government came to an agreement with the country’s international lenders on the matter. “This is a decisive move that will boost the competitiveness of the Greek tourism product, given that the food catering sector is an important part in forming the tourism chain and the tourism package in general,” the chamber said in an announcement. “Since this is a joint effort, all professionals must contribute to the competitiveness of Greek tourism, which is the only way to increase the revenue for the Greek hotel sector and the Greek economy in general,” the chamber concluded.